THE FESTIVE season is a distant memory but the crisis in emergency care seems to be lingering like a bad hangover. Recently I was marking work submitted by third-year nursing students. Their aim was to produce a personal philosophy of care based on the four paradigms of nursing. Can the health service survive 70 more years? 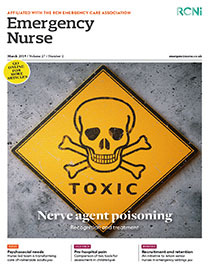 Should nurses receive formal commendations? PRIME MINISTER David Cameron last month promised an ‘all-out assault on poverty’ with a series of social reforms to include better mental health services.